The Teisco guitars became a household name from its origin, Japan, to the United States and the United Kingdom. They are known to produce quality and affordable musical instruments. This company creates a variety of musical instruments such as guitars, keyboards, drums, microphones, and amplifiers. It was founded in 1946, but the concept was already made before the start of the World War. In addition to this, the brand became official in the year 1948. The founders of this guitar company are Doryo Matsuda and Atswo Kaneko. Kaneko, a friend of Hashimoto, was the one who thought of the name, Teisco. However, there was a third person responsible as to how the Teisco guitars grew to what it is today and he is Hiroyoshi Hashimoto. He is a musician who wanted to play a Hawaiian guitar, which he found very expensive during the 1940's. Eventually, he made his own from timber, a magnet and wire coil. After the Second World War, Hashimoto met Doryo Matsuda through his friend, Mitsuo Kaneko. Initially, Hashimoto and Kaneko wanted to manufacture guitar microphone and is looking forward to starting a new business venture. But, eventually, Kaneko encourages Hashimoto and Matsuda to work together in the new business plan. In 1948, Matsuda established Arai Onpa Laboratory, which was the initial name of Teisco, in the first floor of his family's factory. Then, it was then that Hashimoto decided to join him. Hashimoto was responsible for the manufacture of the body of the guitar. On the other hand, Matsuda was an expert in electronics and producing sounds. Sometime after Hashimoto joined the company, they moved to a new office in Furukawa-bashi. They contracted with a timber company into making the bodies for the Teisco guitars. From then on, they started to produce the first Teisco musical instruments. During the year 1950, the market for Hawaiian guitar has been established and it was already recognized by the people of Japan despite that they were not initially familiar with this type of instruments. Like any other businesses, they looked into expanding into a newer market since Japan has already been saturated. This led to a partnership with Orient Shoji during the year 1950 to 1953 that export guitars to the Korean soldiers in the US, which created a little boost in their sales and exposure. Around this time, Teisco also started to manufacture pick-ups or guitar mikes. Also, they teamed up with Shinko-shoji to make the wooden guitar in return for supplying them with electronics. The popularity had a steady growth as Hashimoto traveled to different locations to promote the use of guitar and amplifier. In 1952, the first guitar was produced bearing the Teisco logo, the wooden body produced by Shinko-shoji and electronics made by Arai Onpa Co. The name of the model was believed to be the EO-180. By the year 1953, several EP designs were already available. The following year, 1953, the first electronic guitar was manufactured, which was designed based on the Gibson Les Paul, and would be named the TG-54. Two years after, 1955, the name Arai Onpa Co., officially changed its name to Nippon Onpa Kogyo Co. Ltd. It was also during this time that rock and roll were gaining fame on the other side of the world, the United States. This will subsequently lead them to bring their guitar products to the US market. American companies started to purchase the Teisco guitars and official distributors were then established. Later on, it eventually began to be available in Canada and the Australian market. In October of 1964, for the purpose of strengthening the name of the brand, they officially changed the name to Teisco Corporation. It was also the time when Rock and Roll were starting to boom and the demand for the electric guitar has increased significantly, especially in Europe and America. The Weiss Musical Instruments or WMI Corporation became the sole distributor in all of America. In addition to this, they also made a contract with BSS Distributors that focused on customers from Europe mainly on Finland, Sweden, Germany, Norway, Netherlands, and Germany. There were many instances when Teisco made a promotional move in order to increase the demand for electric guitars. One of which, he submitted it to be featured in a Japanese TV show and Hashimoto would often appear to present the prize winners. The popularity of electric guitar began to decline by the year 1966, this is when a number of electronic stores stopped selling guitars and amplifiers. Unfortunately, it caused an increased in production but with very low and almost declining demand. Finally, on January of 1967, Teisco Corporation announced bankruptcy. Interestingly, the company was bought by one of their competitors in the industry, Kawai Gakki. Thus, as a result, Kawai was able to control Teisco's major distributors in the US. Kawai was established in 1927 and has been in the guitar manufacturing industry ever since. For the musical instrument enthusiasts, this is considered to be the holy grail of the vintage Japanese guitars and one of the most popular guitar models during the 1960s. This model was an inspiration in creating its subsequent models such as Spectrum 22, 2, 3 and 4. As of today, there are still replicas that are being sold and shipped worldwide from America and Europe. Despite the downfall of Teisco, this guitar model continued to be a favorite for musicians and guitar players. Amazingly, there are still authentic Spectrum guitars being offered online for auction. There are four versions of this guitar based on its design. In the first version, the necks are all painted and with built-in volume controls. The second version revised the necks, which they no longer produce the painted neck. Next, the third version, the pick guard has a new shape and design and front tips were extended to look pointy. For the fourth version of this model, the pick-up screw was revised to Hex head type. It is considered to be special because it produces a spectrum of sounds that makes it versatile and pleasant to the ears. It also durable since it is made and design using Mahogany. The May Queen model is quite popular during the 60s due to its unique shape that resembles an artist's palette. Nowadays, it is considered to be rare for all the Teisco collectors. It also has four pickups contrary to the two or three that most guitars have. It has a hollow body with a single sound hole and a neck with a check mark headstock. Most of the May Queens that were produced are Black, but there are quite a few that were made in Red color. The expansion and success of the Teisco guitars during the 1960s were undeniable. Thus, the company decided to import their products to the US due to increase in demand. One of their wholesaler, Weiss Musical Instruments or WMI, decided to rebrand the Teisco guitars to establish their name in the new market. Sylvain Wiendling of WMI was the person behind the rebranding of Teisco guitars with the name Del Rey, which is the Spanish term for The King. All the guitars imported were installed with logo sticker until finally all wholesale guitars from Japan will be officially called Teisco Del Rey. In the year 1965, WMI also increased their advertisement for the Teisco guitars making them the largest and the exclusive distributors of the Teisco Del Rey to America. Aside from producing guitars, Teisco is also known for their cheap but durable amplifiers. Together with the other models, Checkmate 50 and Checkmate 25, this affordable amplifier was also distributed to the American market that dates back to 1965. This Japanese made amplifier is equipped with 6L6 power tubes, oscillator tuner, and a headphone jack. It has dual channels with reverb and vibrato. This is considered to be a good amplifier for playing music or even when watching vintage movies with the soundtrack. The Bass guitar is just one of the many musical instruments that Teisco was able to produce. The first electric bass that was ever created was the EB-1. This is said to be a basic copy of the Fender Precision Bass. In addition to this, some of its specifications are: it has a double cutaway body with P-bass offset, wooden adjustable bridge, and a tailpiece that is covered. 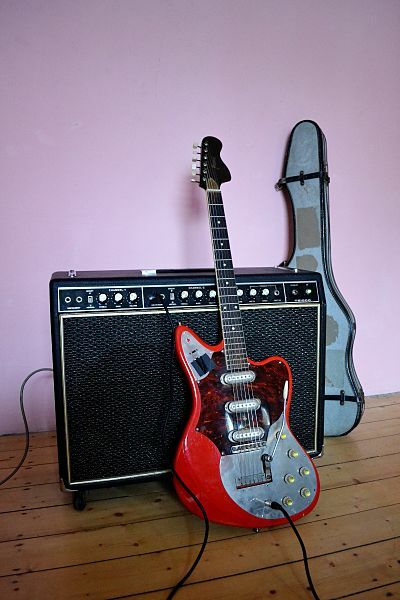 The ET100 and YG-6 are said to be the mainstay models for the Teisco Tulips series during the 1960s. The shape is likened to that of a Tulip with double cuts and slightly noticeable flare horns. It had a wide and single chrome pick up with poles on one edge. In 1965, the more modern model, YG-6, was released in Japan. The horns were more pointed and the neck has a new headstock with edge inlays that are rectangular in shape. This brand was formed by Mr. Matsuda who was the previous president of Teisco Co Ltd. It was established in 1967 after he left Teisco Shoji (the new name of Teisco under their new owner, Kawai). They were only able to operate for at least 3 years until they went bankrupt. It has been said that during those short years, they were able to produce rare and unique designs of a guitar. According to guitar enthusiasts, it is difficult to identify an Idol guitar since it only has a logo and not the word Idol itself. Also, one way to identify if it is made by Idol is to look at the model or serial number tag. This type of guitar usually has a rectangular shaped metal plate that indicates the serial number. This company was also a musical instrument manufacturer during the 60s in Japan. 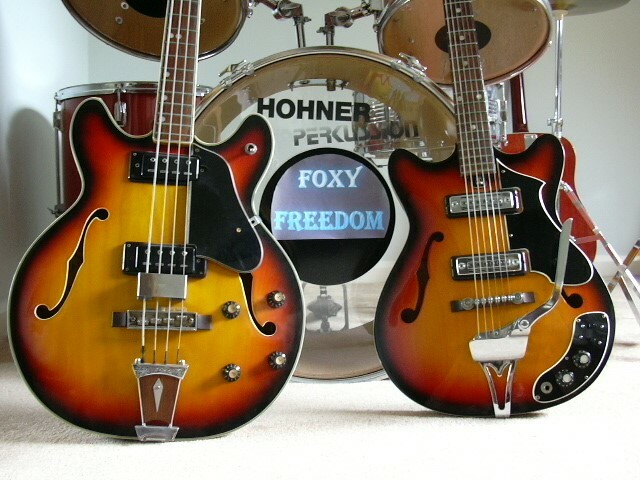 It was established in 1967 by an employee who had worked for Teisco. Little is known if it has been distributed outside of Japan, it is believed to be focused on meeting the demands of the local Japanese market. Just like how Teisco operated, they outsourced their guitar parts like woodworks and painting. Unfortunately, in 1969, the company went bankrupt. Despite this, they were still able to produce 8,000 to 10,000 units of musical instruments in a span of two and a half years that they were in business. This is a unique guitar vintage brand that is probably rare nowadays. Recently, it has surfaced in Australia. It is known that it was produced from 1960 to 1962 by Nippon Onpa Kogyo Co. Ltd. The model, U10, was designed in accordance with the Gibson model at that time. However, it differs from the typical Japanese made guitar since the body is a little bit thicker. It has a single pick, one volume, and one tone control.